The Valencian Museum of Toys was established in Ibi, a town that is famous all over the world as being the Spanish centre for toys The idea began to take shape in 1986 with the creation of a Foundation made up of the Ibi Town Council, the Payá Toy Cooperative, the Generalitat Valenciana and the former Saving Bank, Caja de Ahorros de Alicante y Murcia. 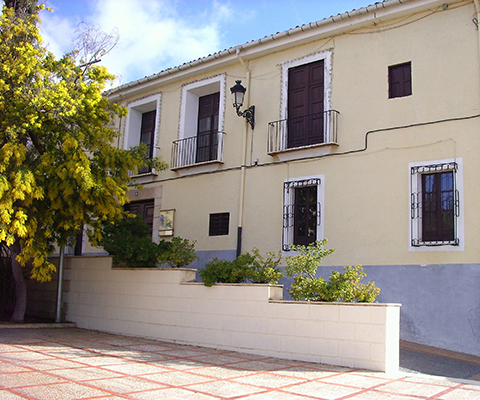 It was inaugurated on the 20th of December; it was provisionally set up in an 18th century manor house, known by the name of “Casa Gran” (the Big House). The museum proved to be a success right from the start, so consequently one of the main objectives was to find a definitive place for it. Housing the new museum in the buildings of the old Payá Factory, which was the first toy making company to be set up in the town, would gradually become a more feasible option. 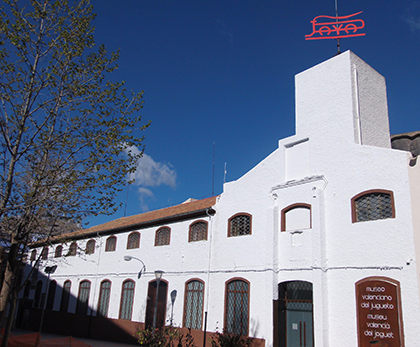 As well as having more room available in this new location for exhibitions and activities, it also meant that the first industrial toy making factory in Spain would be restored. Given the magnitude of the project, it was decided that it should be undertaken in stages. Renovation work in the first stage of the project was done to the central bay area of the factory, dating back to 1912 that was rebuilt in 1962, and the workshops that were built in 1915. They were fitted out as the permanent exhibition area and the temporary exhibition room respectively. The definitive home for the museum was opened on the 29th of November, 2013. The toys that are on display in the new facilities are part of the museum’s assets, which consist in a diverse collection based on what was donated to the town of Ibi by the workers of the Payá Cooperative, from the assets that had been accumulated over the years when the primitive company was in business, mainly toys made in Ibi and Germany and, to a lesser extent, those made in other places in Spain and the rest of the world. A smaller collection, owned by the Town Council of Ibi, was added to the initial collection, along with a series of donations given over the years by companies and individuals. The Museum’s assets are rounded off with the original machinery and tools that will be on show for visitors to see in the future. The project is still in progress and work is constantly being done to turn the Valencian Toy Museum into a leading centre to collect, preserve, carry out research, teach and publicise common cultural heritage, and in turn, it pays tribute to the hard work and effort of the toy makers and entrepreneurs of Ibi who contributed to the growth and the development of our town. Come and pay us a visit at the Toy Museum to remember all those childhood memories and you will take home something unforgettable with you. Our facilities will keep on growing and adapting over time with new rooms and areas being created. Reservations only have to be made for group visits. For individual or family visits, just come to the museum during the opening hours and on the dates that are shown below. A group is considered to be 20 people or more. At least one guide must accompany a group and be in charge of it during the tour. Reservations for group visits should be made at least one week in advance. The reservation shall not be valid until it has been confirmed by the Toy Museum. The entrance ticket into the Museum includes access into the permanent exhibition and the temporary exhibitions that are currently on display on the day of the visit. Do you have to make a reservation to visit the Museum?